I use the terms "beat" and "rhythm" quite a bit in these two posts. What's the difference? Beat is the steady underlying pulse of the music (like your heartbeat). This rhythmic chant includes the words of the corresponding movement (click, stomp, slap, clap), each falling on a different beat within the bar. See a video demonstration here. After the chant is familiar, try having children do only the movement, without the words. This is a great way to develop an internal sense of the beat and musical independence. Take it to the next level by using body percussion to accompany a piece of music. For instance, if the piece is in 4/4, with 4-bar phrases, you might do a sequence of four motions/sound effects, four beats each. Try doing them out of order or backwards (feet up to head) for a little extra fun! This is a great activity for the beginning of the choir year as everyone is getting to know each other. Have everyone sit in a circle and tap on their knees: tap-tap-rest-rest. One at a time, have children say their names (in rhythm, if possible) in the two beats of rest (e.g. tap-tap-Ash-ley). Add one measure in between each child so it's not too rushed. Mix it up by going around the circle and having children name their favorite color, animal, or flavor of ice cream! A great way to reinforce steady beat and musical independence, and give children an opportunity to improvise. 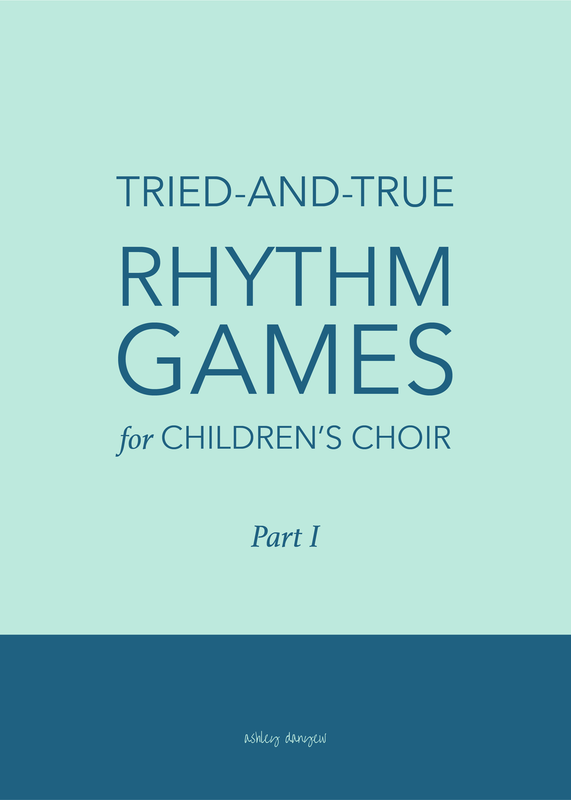 For older choirs, divide children into groups of four and have them stand in a circle. Invite each child to create a 4-beat pattern with corresponding body motion and sound effect (e.g. stomp-stomp-clap up high, "boom-boom-tongue click"). Layer the patterns on top of each, as before, or string them together in a sequence, one at a time. For young singers in particular, it seems we can never do enough steady beat activities. Use bean bags, balloons, or even tennis balls to help children keep a steady beat (and get out some extra energy!) while listening to a piece of music. Bounce the ball to the beat (if your choir room has a hard floor), pass the bean bag around the circle or toss to a partner, or keep a balloon up in the air. I've shared this game before (in this post), but it's a great way to reinforce steady beat, subdivision, and musical independence, so I thought I'd mention it again! Set a red solo cup upside down in front of each child. Working with younger children? Here’s a simplified version. Once your choir knows the sequence, try pairing it with a piece of music that gradually speeds up (like Grieg’s “In the Hall of the Great Mountain King” or Tchaikovsky’s “Russian Dance” from The Nutcracker Suite). This is a fun listening activity for reinforcing steady beat and preparing the concept of subdivision. Reinforce steady beat, note values, and subdivision with this active listening game. Introduce each note value as a member of the Rhythm family (source) and a character in a story you create. Have children step the note values in their feet, moving around the room. Each time they hear a character mentioned in the story, have them change their step to that note value. Help those you teach learn the language of music.